Versus Arthritis is currently promoting their new report, “Working It Out” on the Access to Work programme at the political party conferences. At the time of writing the team have attended Liberal Democrat and Labour, and are preparing for Conservative and SNP conferences. The report is based on a survey of almost 1,600 people with arthritis and related conditions across the UK, which asked how their working life has been affected by their health condition, and their awareness of Access to Work and employer support. It will be publicly released later in October and the team will share it with ARMA members once it’s available. At the conferences, Versus Arthritis have been highlighting their findings and recommendations to party members, local Councillors and MPs. 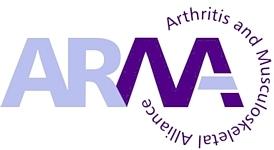 They are calling for the Government to take action to promote the Access to Work scheme and to make it clear to employers what reasonable adjustments they should provide for people with arthritis. So far, a number of MPs – including the Shadow Secretary of State for Health, Jon Ashworth – signed up to be Arthritis Champions, pledging to work with us to prevent and cure arthritis, and transform the services available to people with musculoskeletal conditions. There will be a roundup of this activity on the charity’s new website in mid-October on the news page and you can follow us on Twitter for live updates from conference @VersusArthritis.